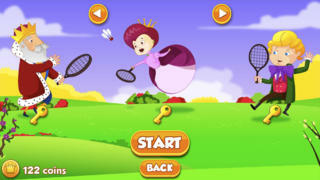 Welcome to the Royal Blitz – An Oz Adventure packed with running and jumping. The story of this game revolves around a Royal Family. 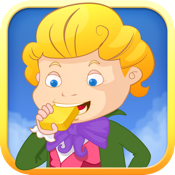 In this adventure game for children, the player follows the Royal Family as they get whisked away to the beautiful Land of Oz. The rules of the game are simple – just run and tap the screen to jump. A word of advice for all players – Do not hold the jump for too long. Make sure you press the jump for the right amount of time. Holding down that magic key for too long or too short can lead to unpredictable results, the consequences of which could be quite unfortunate. The color theme and the bright visuals work in tandem with the simple game-play and makes this a favorite amongst children. It is a well known fact that small children are fond of jumps and leaps, and this game has loads and loads of that. The only difference is the careful calculation of the jumps. If anyone falls for any reason, don’t worry! Just get up, do some jumps and start running again. Just jump where ever you need to. So, children, download it as soon as you can and get along in the wonderful world of Oz. Guess what kids? No one will stop you from jumping. You won’t be disturbing anyone, will you? No one will ever know if you are jumping right behind them! Above all, you will never get tired of running and jumping. The creators of this exciting game love how it simply enchants young gamers: Why? Kids! Finish your homework! Eat some healthy and tasty food! Tie your shoe laces and start your run. In order to win, please do not stop running or making leaps. Easy isn’t it? This game is filled with so much fun that even parents might feel like playing. Go ahead. Enjoy! The Royal Family, the King and his vast empire are all yours. *Note to Parents – You don’t have to pay taxes to explore this kingdom. How’s that? This game has been designed to run on both iPad and iPhone.